Meigs County Native to preform during Nashville Songwriters Show Case. Meigs County native Alison Rose in concert at Nashville Songwriter’s Showcase. 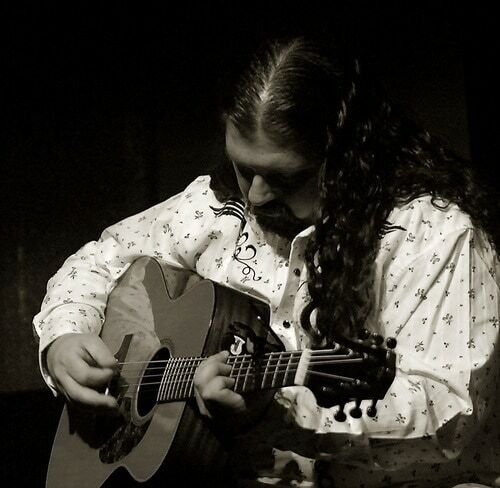 Ira Dean, formerly of Trick Pony, will be at the Nashville Songwriter’s Showcase. Songwriter Chris Wallin will preform some of his songs during the evening Showcase. OHIO VALLEY — The Chester Shade Historical Association will be presenting the Meigs Heritage Festival on July 18. at the Eastern High School campus. There will be numerous activities, as well as food and drink vendors during the festivities. The festival will begin at 10 a.m. with the Classic Car Show and Eastern Youth Archery Demonstration and Competition. At 1 p.m., the 1869 Cincinnati Red Stockings will play a Civil War-era baseball game. The Ohio State Harmonica Championship and Show begins at 3 p.m. The evening will feature Nashville Songwriter’s Showcase, with performances by Nashville songwriters Alison Rose, Ira Dean and Chris Wallin at 7:05 p.m.
“This was truly like nothing I had ever experienced before. You never knew who was going to show up to your gig. I looked out in the crowd one day and there was Steve Wariner and Bryan White. It was unbelievable,” Rose said. While Rose is currently pursing other interests, music is still an important part of her life. Ira Dean, formerly of Trick Pony, has co-written several county music hits and played with Johnny Cash, the Carter Sisters, Tanya Tucker and Hank Williams Jr. to name a few. Chris Wallin is a songwriter who began writing songs at age 12. Three of his songs were recorded by Kenny Chesney, Toby Keith and Montgomery Gentry, and became hits. Other artists who have cut Chris’ songs include Lorrie Morgan, Garth Brooks, Sammy Kershaw, Trace Adkins, Michael Peterson, Anthony Smith, Jeffrey Steele, Confederate Railroad, Neal McCoy, Brian McComas, Brad Paisley, Joe Diffie and Diamond Rio. An auction during intermission will feature items donated by the songwriters. All proceeds benefit the Chester Shade Historical Association. For more information on the festival, including registration for the Classic Car Show or to purchase advance tickets for the evening performance, contact the Chester Shade Historical Association at 740-985-4281.